Read, don’t Translate: Speed Reading | Magister P.
Reading without consciously translating into one’s native language is assumed to be a part of language acquisition, yet is taken for granted and difficult to assess. Through a Speed Reading program, students are encouraged to read chunks of words rather than individual word-for-word-translation. This aligns with how we focus on teaching the most frequent structures rather than isolated word lists. In addition, students find this reading program compelling due to the personal competitive nature. 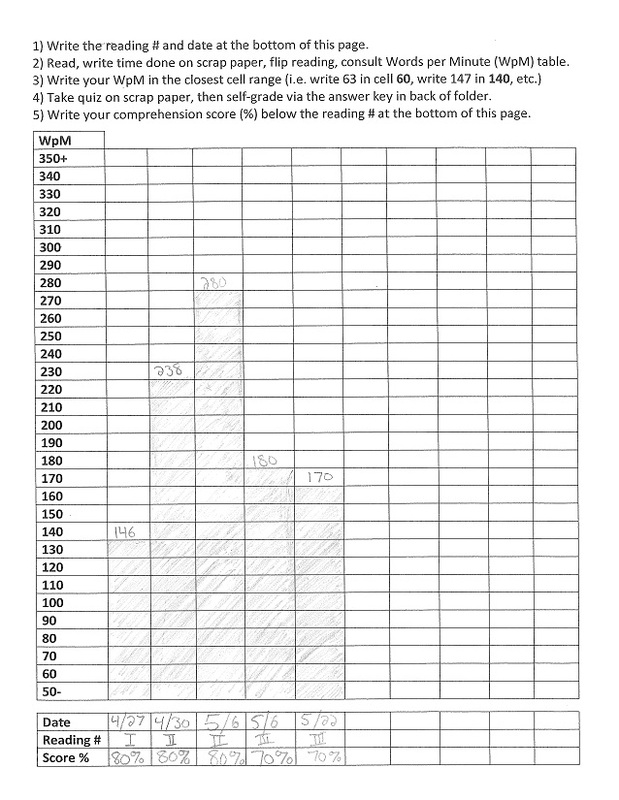 Take a minute to read the Speed Reading Process (my adaptation of Blaine Ray’s adaptation of Paul Nation’s program). In order to pilot Speed Reading in my classroom, I used existing reading passages rather than creating parallel stories. There were a few problems with that. The passages weren’t long enough (~250 words), and increased with difficulty since the textbook followed a grammatical syllabus. This latter point added unnecessary variables. 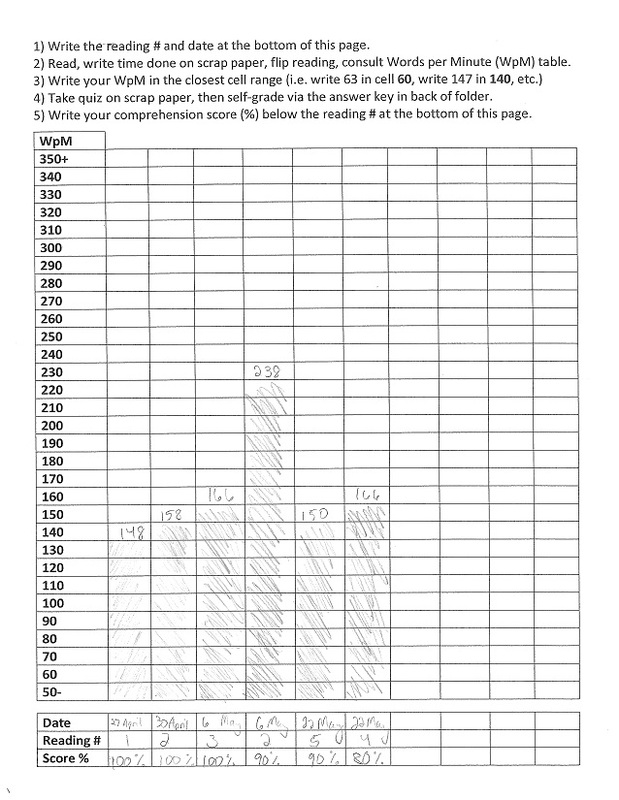 For better results, wait until the midway point of your year, and write reading passages of ~500 words consisting of words students really, really know well. Click here to see what I used in my classroom. Note how this student reread Reading #2 a week later. He was much faster the second time around, and the score shows that he missed a detail. 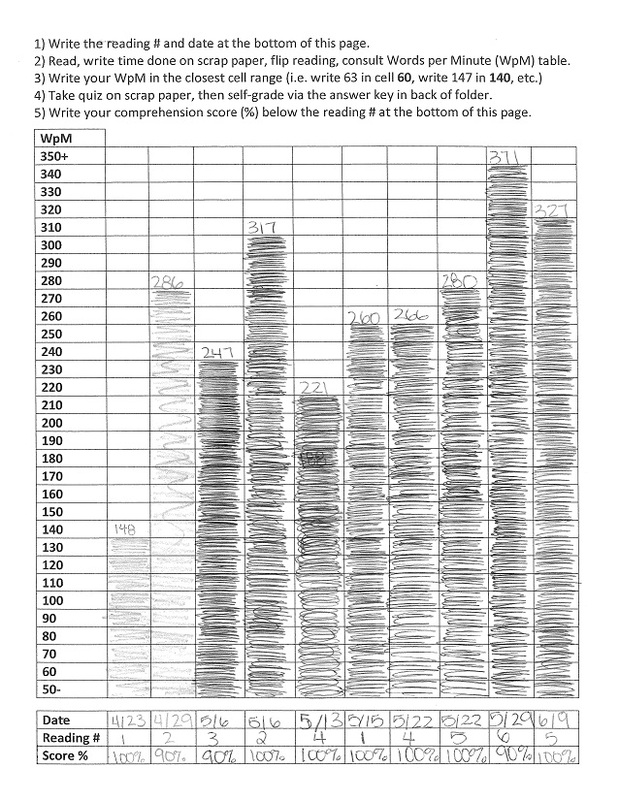 This student also read a little faster the second time around on Reading #2, but note the drop in reading rate for Reading #3 in the last two columns. Doesn’t make sense, right? Aside from knowing that on any giving day any student could be off their game, let’s take a look at the dates; there’s a gap of over two weeks. This might indicate how important consistent reading is. This student really, really enjoyed the activity; all reading rates improved the second time reading. Note the comprehension scores. This student is clearly a fast processor, but definitely could read even faster while still retaining a decent understanding of details (~70%).